Where can Americans turn, to witness the spectacle of great leadership? On Presidents’ Day, this country should look, for inspiration and conviction, to America’s greatest leader, George Washington. Washington, in company with the other Founding Fathers of America, was a son of the 18th century Enlightenment. His vision of America was one of responsible, independent, free, and hard-working citizens, prospering in a system of political and economic freedom. He believed that America would become a beacon of liberty and justice to men everywhere. George Washington was a man of impenetrable and towering integrity. He did not just espouse a vision; he acted in order to achieve and defend it. Integrity is the virtue of remaining loyal to one’s convictions and values. A man who is able to hold to a principled course of action, to pursue his values relentlessly, without compromise, and to do so under duress and the scorn of others, deserves our deepest respect. This is what George Washington can give to America on Presidents’ Day–the spectacle of vision and moral certainty, backed up by action. He realized the importance of freedom and individual rights, and he pursued these values rather than power, approval, or prestige. And when we realize that human life was at stake, and that he entered this battle on a world stage, and at the risk of his life and everything he loved, we know we are in the presence of a man who deserves our reverential awe. Washington’s integrity was on display, relentlessly and without interruption, from the time he accepted command of the colonial army until the end of his life. We see him, at the beginning of his career, arriving in Cambridge to find a dispirited, sick, and unruly army looking out on a Boston harbor full of the masts of the British armada. Six months later, through determination, discipline, personal example, and effort limited only by fatigue, we find his army organized and ready to attack, watching Boston harbor empty, as the British withdraw. In the middle of the war, we see him on that hazardous and fateful Christmas night, leading his army across the Delaware River to turn the tide of war. After a night-long march and the successful rout of a highly skilled enemy, he returns victorious across the Delaware. Throughout his military career, we see him lead his troops into battle and ride into enemy fire. Sporting bullet holes in his hat and tunic, he was ever the inspiration to his troops. At the end of the war, we find Washington quelling, through character alone, an incipient officer revolt. And through two presidencies, we see his commitment to liberty underscore all of his acts and explain why, remaining aloof from political partisanship and petty squabbles, his integrity led him to being “the indispensable man” in America’s founding. To rejoin–in spirit–Washington’s army, America needs to rediscover the Founders’ commitment to liberty, justice, and individual rights. 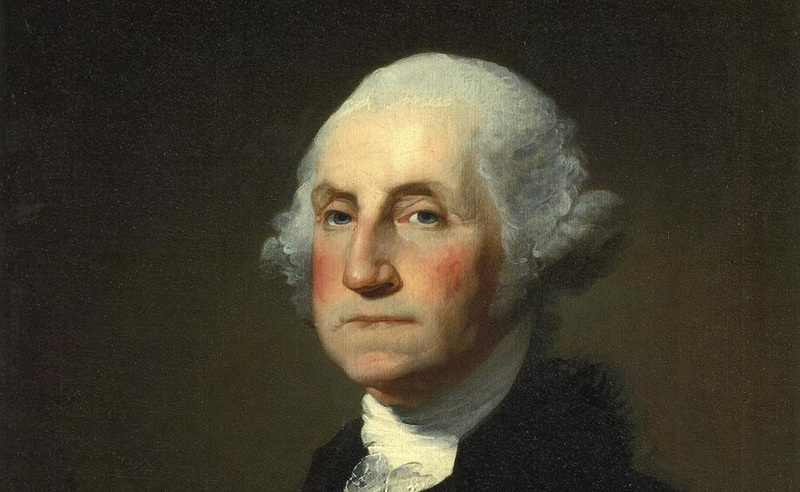 On President’s Day, we should salute George Washington. The spectacle of his integrity can give us courage as we confront the tyrants who once again threaten our freedom and our lives. Dr. John Ridpath, a retired associate professor of economics and intellectual history at York University in Toronto, Canada, is a member of the board of directors of The Ayn Rand Institute (www.aynrand.org) in Irvine, CA.